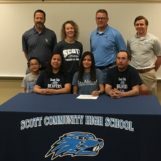 Scott City, Kan. (westernkansasnews.com)–Dulce Ayala’s dream of running in college officially came true on Thursday, as she officially signed her letter of intent to run track and cross country at Washburn University in Topeka. Ayala was a four-year qualifier for the state cross country meet, as she led the Lady Beavers to the Class 3A State Championship in October, their first team championship in cross country. She also finished in eighth place individually at Rim Rock Farm. On the track, Ayala has been a part of the state lineup in her three years. Last season, she helped Scott City finish fourth in the 4x800M Relay, and was a leg in the state champion 4x400M Relay. Washburn is coached by Cameron Babb, who serves as both the head cross country and track & field coach. The Ichabods revived their programs in 2015, after the program was dropped in 1980. 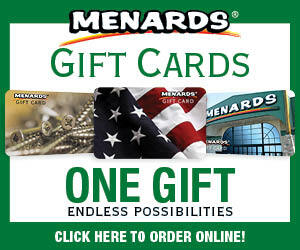 They’re a Division II program in the MIAA Conference. Ayala will be majoring in criminal justice at Washburn.